So if you didn’t see the Deck the Halls Christmas Geneameme I created last year, why not write up your responses and post a comment on this blog and also on Randy’s so we can all have some weekend Christmas fun. Thanks Randy for sharing the fun this year as well as in 2012. Yvonne from Yvonne’s Genealogy Blog is first cab off the rank (after Randy) in 2013 though Angela from The Silver Voice has also reblogged her story too. Pam from My Maine Ancestry also joined in the fun. Meanwhile here are the responses from the geneabloggers who joined in for Christmas 2012. They make great reading about the similar experiences we share as well as the regional differences. 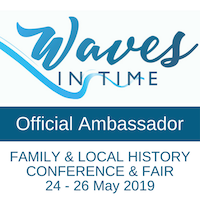 Family History 4U from Sharn in Sydney. Finding Eliza from Kristin in the USA. Hanging from the Family Tree by Donna in the USA. 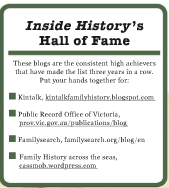 Jenny’s Genealogy Blog from Jenny in Sydney. And an absolutely delightful post about Christmas in Donegal, Ireland in the 1950s which The Silver Voice kindly said was inspired by this geneameme. Thanks again everyone for joining in, and showing us the wonderful traditions people have around the world. Two weeks ago I suggested we play a Christmas Geneameme to get us in the mood for Christmas. 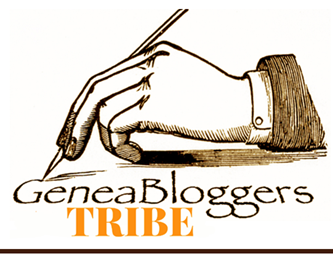 I was particularly pleased that Randy Seaver from Genea-Musings made it his theme for last week’s Saturday Night Genealogy Fun (if you haven’t tried any of Randy’s suggestions before why not give it a go, like he says, they’re fun). Here are the responses to the meme and it’s great to see such diversity in the places, cultures and traditions represented. I think it’s safe to say that family is indeed the common thread. It I’ve missed anyone please forgive me and leave a comment. If you’d still like to play along but haven’t had time (yes it’s crazy busy I know), then please just let me know & I’ll add your link to the list. Thank you so much everyone for joining in this geneameme. I really enjoyed reading your stories and I hope you all had fun too and learnt a little more about your geneabuddies’ lives -the similarities and differences. Last week I invited everyone to join in with the Christmas Geneameme and this is my own response. There’s still plenty of time to participate as I won’t collate all the responses for a week or so. Please leave a comment to make it easier to track your reply or you can use the twitter #xmasgeneameme tag. The more the merrier!! Do you have any special Xmas traditions in your family? We traditionally set up the Christmas tree on one family birthday and take it down on another. A tree is a must, as is my grandmother’s Christmas shortbread. Do you go carolling in your neighbourhood? My singing would frighten away werewolves so no. I was reading an old diary a while back and was reminded that we had carollers from the United Church (Presbyterian and Methodists) visit our Port Moresby streets at Christmas. It was a memory that had completely disappeared. What’s your favourite Christmas music? Ode to Joy, hands down. But I also have to listen to the Messiah at least once over Christmas. Beautiful chorale versions of carols – I have a lovely one from Oxford which is great background music. What’s your favourite Christmas carol? This one is tricky: Oh Tannenbaum in German (for my ancestry, and because it was on one my family’s earliest Christmas LPs); Mary’s Boy Child, for the words and music and because my husband loves it; Little Drummer Boy because it was on the first Xmas LP we bought after we were married and I’d never heard it before; and Feliz Navidad for its sheer exuberance. Do you have a special Xmas movie/book you like to watch/read? Not really, but I always love the scenes in When Harry Met Sally with the tree and the New York lights…it reminds me of our pre-Christmas visit to New York back in the early 90s. Does your family do individual gifts, gifts for littlies only, Secret Santa (aka Kris Kringle)? We do gifts for the littlies and Secret Santa for the adults in our family, with a fixed price limit. Is your main Christmas meal indoors or outdoors, at home or away? Indoors with the air conditioning going! When we’ve been at our daughters who has a pool we may be outside as there’s an option of a swim to cool down. What do you eat as your main course for the Christmas meal and do you have a special recipe? For many years now we’ve been eating ham and seafood (usually prawns) together with the fanciest salads we can make for our main Xmas meal. Sometimes we’ll revert to roast pork on Xmas Eve which will be a cold accompaniment on Christmas Day. Of course always accompanied by a nice wine. Does Christmas pudding feature on the Xmas menu? Is it your recipe or one you inherited? The main course may have changed, but there’s always Christmas pudding –even if people are too full to eat much! I inherited my pudding recipe from my mother. We also have a new tradition for Xmas dessert –our daughter’s tiramisu. Do you have any other special Christmas foods? What are they? My paternal grandmother’s shortbread recipe is always on the menu and for many years I made my mother’s Christmas cake. These days I make a new recipe I discovered decades ago – my Green Peppercorn Xmas cake. Do you give home-made food/craft for gifts at Christmas? Not much these days unless I have a flash of inspiration though the grandchildren and I usually do Christmas craft including our own bon-bons. Do you return to your family for Xmas or vice versa? Luckily we mostly live in the same city so we have every 2nd year together. Our other daughter will visit for Xmas most years where possible. Is your Christmas celebrated differently from your childhood ones? If yes, how does it differ? Yes because we always had a hot Christmas dinner not cold. My father was often working shift work (as did our children through their uni years) so the timing would vary. Christmas was one of the few times each year when Dad would have a beer. We’ve both got small families so we’re used to small Christmas gatherings. How do you celebrate Xmas with your friends? Lunch? Pre-Xmas outings? Drop-ins? Many of our friends now live a long way away but with those who are closest (geographically) we usually do a mix of these options. Do you decorate your house with lights? A little or a lot? Yes – just a little, but enough to add a bit of sparkle. Is your neighbourhood a “Xmas lights” tour venue? No, not many houses have lights at all (and with an upcoming 30% increase in power charges, that will drop even more next year!). The big Xmas light displays in particular neighbourhoods are beautiful and a real community contribution. Does your family attend Carols by Candlelight singalongs/concerts? Where? This was a huge tradition in our family and our youngest daughter attended her first one when she was only weeks old. They were held on Wickham Tce in Brisbane for many years. It’s a while since we’d been to one so we joined family last week at the Darwin carols, only for it to be shut down by lightning, heavy winds and rain….the latter two are okay, but you can’t mess with lightning. Most years we listen to the televised Carols by Candlelight from Melbourne –sometimes while wrapping presents. Have any of your Christmases been spent camping (unlikely for our northern-hemisphere friends)? No, we prefer to stay at home for Christmas. Is Christmas spent at your home, with family or at a holiday venue? Usually we’re at home but I’ve had one Christmas overseas. Do you have snow for Christmas where you live? Not a chance in Australia’s tropical north, though if it’s raining and the air-conditioning is on, you can trick your mind into thinking it’s cold outside. Do you have a Christmas tree every year? Absolutely! Is your Christmas tree a live tree (potted/harvested) or an imitation? In early years it was a live tree (either a small casuarina or a baby eucalypt/gum). Now we have an artificial tree, which we downsized as empty nesters then upsized again when they babies came along. Do you have special Xmas tree decorations? I have a “thing” for Xmas tree decorations and keep on buying them as if we have a huge tree. Some of these have special memories from trips near and far, but especially those from the Bavarian Christmas markets. Which is more important to your family, Christmas or Thanksgiving? Christmas is the main family celebration for our family (as well as birthdays). Australia doesn’t celebrate Thanksgiving which is probably as well because I think people would go into meltdown if there was one more thing to do in November on top of end of year at work/school/clubs etc. I t’s the start of the Advent season today and I thought it would be fun if we shared our different experiences of Christmas and how we celebrate it around the world. By doing this through a geneameme we’ll be able to compare our responses and see whether we do things very differently or if there’s lots of similarities. For this meme, it doesn’t matter whether you’re religiously inclined or not, just tell us how important this season is to your family. It would be great if you joined in from around the world– the more the merrier (and it’s the season to be merry!). I’ve tried not to be Australia-centric so please pull me up if any of these are unclear…we should all be able to “have a go”. Do you have any special Xmas traditions in your family? 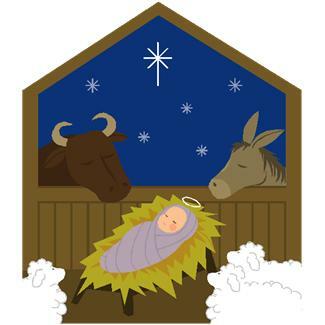 Is church attendance an important part of your Christmas celebrations and do you go the evening before or on Xmas Day? Did/do you or your children/grandchildren believe in Santa? Do you go carolling in your neighbourhood? What’s your favourite Christmas music? What’s your favourite Christmas carol? Do you have a special Xmas movie/book you like to watch/read? Does your family do individual gifts, gifts for littlies only, Secret Santa (aka Kris Kringle)? Is your main Christmas meal indoors or outdoors, at home or away? What do you eat as your main course for the Christmas meal? Do you have a special recipe you use for Xmas? Does Christmas pudding feature on the Xmas menu? Is it your recipe or one you inherited? Do you have any other special Christmas foods? What are they? Do you give home-made food/craft for gifts at Christmas? Do you return to your family for Xmas or vice versa? Is your Christmas celebrated differently from your childhood ones? If yes, how does it differ? How do you celebrate Xmas with your friends? Lunch? Pre-Xmas outings? Drop-ins? Do you decorate your house with lights? A little or a lot? Is your neighbourhood a “Xmas lights” tour venue? 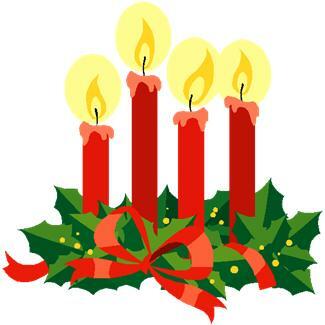 Does your family attend Carols by Candlelight singalongs/concerts? Where? Have any of your Christmases been spent camping (unlikely for our northern-hemisphere friends)? Is Christmas spent at your home, with family or at a holiday venue? Do you have snow for Christmas where you live? Do you have a Christmas tree every year? Is your Christmas tree a live tree (potted/harvested) or an imitation? Do you have special Xmas tree decorations? Which is more important to your family, Christmas or Thanksgiving? Thanks for participating in this Christmas Geneameme and sharing your Christmas experiences! Don’t forget to leave a link to your geneameme response in the comments section or on Google+ or on Twitter using hashtag #xmasgeneameme. Thanks! 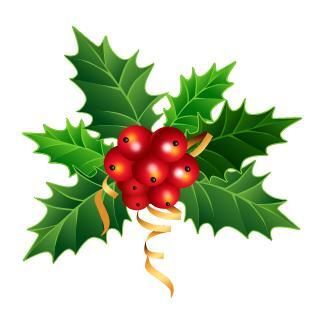 I’d like to take this opportunity to wish you and your families a very happy Christmas and all the best for 2013. It’s been a long while since we’ve had a geneameme and I thought it might be fun to do a Christmas Geneameme-after all it’s not as if we’re busy or anything <smile>. If we get participation from readers around the world it will be a fun way to learn how others celebrate Christmas. Do you want to join in? I’ll be posting the geneameme on 2nd December, the start of Advent, and will collate all the responses on Sunday 16th December so there’s time for people to get involved. Maybe you haven’t been involved in a geneameme and aren’t sure what to do…. Add your comments after each question (writing your comments in a different colour/italicised makes the responses easier to read). Try to add more than a yes/no answer so we can learn more about everyone’s experiences. If there’s something I’ve missed feel free to add another question/comment. Please leave a link in the comments section of my blog or on Google+ or use a #xmasgeneameme Twitter tag. (Google alerts aren’t always reliable). On 16th December I’ll post a link to all our posts. (I figure after that everyone will be in manic-Xmas-preparation mode, or maybe travelling). If you don’t have a blog you can still participate by sending me a comment with your responses (or to my email -see the right hand bar on the home page).